We all know Facebook and Twitter are the popular social networks for sharing content, but nowadays some businesses getting more benefit by showing their visual sides on Pinterest. This visual bookmarking website first began as a tool used mainly by women, but now all has changed. Now, every small and large business owners, startups, and social media marketers focusing on this platform and they can all be found browsing boards and adding pins. As per the recent study, more than 35 percent of Pinterest users are men, and 45 percent of all users are from outside the U.S. So, here are the 6 tricks you can use on Pinterest to grow your business and increase your brand popularity easily. This is the most important step. As a business, you need to sign-up for a Pinterest for a Business Account. Verifying your business website lets your users know that your account is official. To verify your website, go to Pinterest setting and then click “confirm website.” Follow these steps if you need help for this. Once your business is verified, you can get the access to Pinterest business analytics, rich pins and promote posts. One of the easy ways of letting your valuable customers know about your presence and products on a social bookmarking website is to add a Pinterest Button. The site provides a variety of choices on their Goodies Page. This feature encourages your readers and customers to pin your product, service or content on Pinterest and this will directly increase your business visibility. Pinterest users use this platform for information. According to their search, pins that provide the most relevant and valuable information perform better on the site. Most of the people use this platform on a mobile device and for Pinterest users on Android phones and iPhone they will only be able to see up to four lines of text for your description. So, it is very important to write a strong and attractive caption to get their attention. More than 80 percent of all Pinterest Pins are re-pinned. Yes, this is true. It means you can also get the attention with the help of other’s pins. But, before that, you first need to find out what attracts to your audience. Try to find the relevant pins as per your niche and then re-pin those pins with the desired topics and you will be seen as an expert in your industry. While pinning others’ pins, it is very important that you also pin some of your original content from the website. With this, users will find out more about your business, products, and services. Your followers want to see your original content which includes new ideas, products, and services that relate to your business. Try to pin content that links back to your website or blog, this will help you to increase the traffic on the site. As per the recent report, Pinterest drives more traffic than Reddit, LinkedIn, and Twitter. With the help of Pinterest Analytics, you can check how much traffic you are getting on your website or Blog. You can also check the pins and boards that are getting the most attention from the clicks and re-pins. I hope the above mention tricks will help you to grow your brand popularity and business. 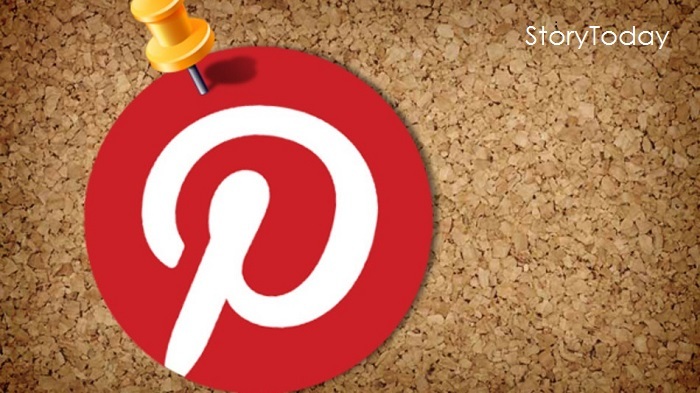 Here you can follow StoryToday on Pinterest to get more updates from this platform.